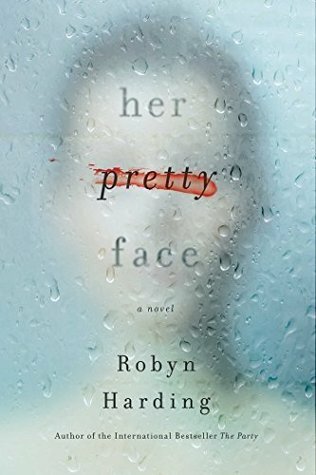 Her Pretty Face by Robyn Harding is a highly suspenseful domestic drama. 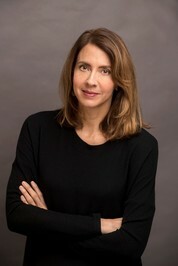 The book starts off giving the details of the murder of a teen girl that took place in the past before beginning with the characters in the current timeline. The point of view changes each chapter with Frances and Daisy in the now and DJ in the past. Frances is a housewife and mother to a son who is having some problems at his new school. A bit ostracized from the other mothers Frances is excited when another mother, Kate, helps her out with her son and the two quickly become friends. Daisy is Kate’s teenage rebellious daughter who is always a little restless and acting out as a lot of teens do. While DJ is the younger brother of the murdered teenager from the past. Even though the story follows two timelines and three somewhat different stories going on it was still easy to follow and understand the entire read. The addictive part of the book is waiting as the author slowly unravels all of the character lives and then slowly weaves them all together right in front of your eyes while you are reading. While this one wasn’t what I would call a super twisty read it was still one that was engaging and had a few tricks up it’s sleeve so to speak. I though that the characters in here were quite realistic feeling as we watched a friendship form, struggles with their children and Daisy acting out as most teens do. I’d definitely suggest checking this one out for anyone in the mood for a story full of suspense. Terrific review, Carrie! I was approved for this one the other day- really looking forward to it! I hope I find it suspenseful too! Great review Carrie. This sounds very intriguing. I will have to check it out. I do enjoy dramas mixed with suspense. Fantastic review Carrie. I thoroughly disliked The Party, so I didn’t request this. It sounds good though, so I’ll keep my eye out for it at the library. Aw well I haven’t read The Party so I can’t really compare and tell you if this is better or just an author I may like a bit more. Hopefully if you get the chance to pick it up you’ll enjoy it though.